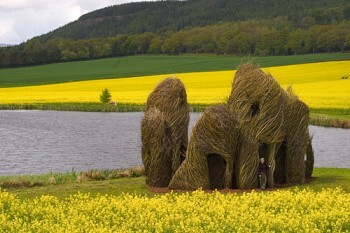 These “weed trees” by Patrick Dougherty are just a few of the amazing art works produced over his many years as a “stick artist”. His work has graced various outdoor and indoor spaces since 1988 when the artist first started creating these massive tree sculptures. I love all things nest-like and these fit right into this unique category, the good news is that we can all enjoy the works of Patrick this summer when he begins a massive instillation at the Brooklyn Botanical gardens starting August 1st, 2010. I have to admit it. Lately I’ve been in a rut. I haven’t found anything I loved while looking at my favorite design sites, perusing my preferred shelter magazines on the stands or even going to my chosen home stores. It just felt like everything I’ve been looking at is the same and I’m bored with it. I’m not all that interested in mid-century modern. It doesn’t suit my house and it’s ridiculously expensive in Israel. So I stopped looking at it all. And I lost a bit of myself. I stopped writing. And I missed it. Then I went to get my hair cut and in my girlfriend’s salon were three new shelter magazines – Elle Decor (US), Elle Decoration (UK) and House and Garden (UK). The first and last were meh – but the Elle Decoration, well… I just couldn’t put it down. 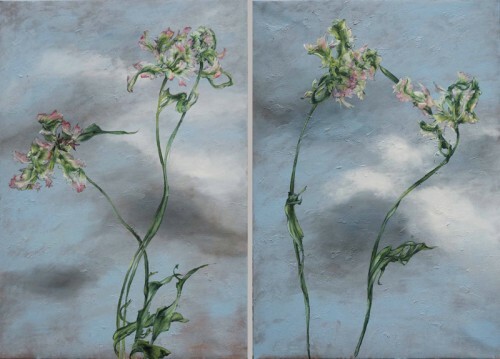 Especially because of an article on the French artist Claire Basler. Her home is her studio and the artwork was so amazing, as was the space. I just wanted to transport myself there. I loved it so much I finally felt compelled to write again and show her work to all of you. I’m not one who goes gaga over artists – but there’s something about Claire’s work. It has such – would it be silly to say ethereal quality? Because that’s the word that comes to mind when I see her work. 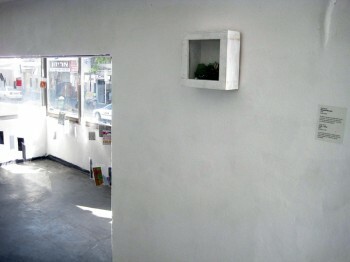 When we moved into our house in August 2006, one of the first things I did while painting over all those pink walls was paint the oddly shaped hallway/pod a fun blue (Enchantment by Behr, by the way) to break up the expanse of white walls all around. We hung a few things that would fit on the narrow walls that made up the space, but the wider wall at the end of the hallway remained blank until later that fall. 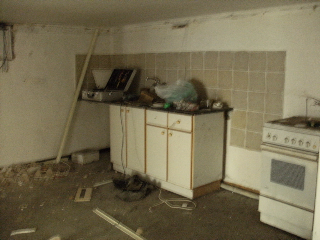 Because whatever would eventually occupy that space had to be special. 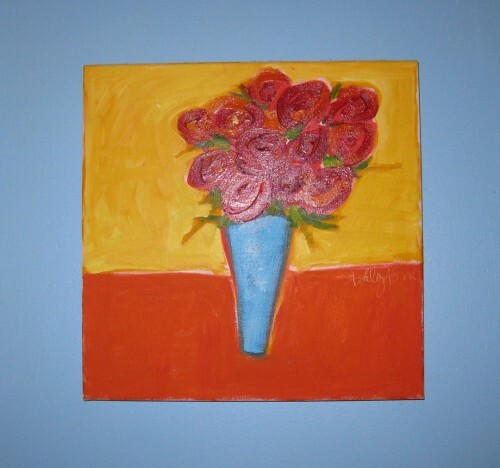 I first saw the painting, C. Flower 2 by Arkansas artist Ashley Saer, on the invitation to an upcoming fall show at interior designer Tobi Fairley’s shop-gallery combo, now known as Tobi Fairley Gallery. As soon as the colorful card came across my desk, I was transfixed by the trio of bouquet oil paintings that decorated it, but particularly this one—the textural, abstract blooms, the varied background hues of my favorite color…and the vase. Especially the vase, because it was virtually the same color as the walls. Clearly all of these things indicated that this was meant to be. Having worked with Saer in the past, I’d long-admired her work, and this was the perfect piece to start a collection with. The night of the show, I was so happy to see that “sold” sticker next to my new painting, which couldn’t come home with me yet, as it was still not entirely dry. But I was able to pick it up a couple of days later, and I was so excited to finally get it home and see how it looked in what is now officially known as the pod gallery. And as you can see, it is perfect, as if it were commissioned just for that spot. And any time I look at it, I’m immediately cheered up by the brilliant color scheme and the beautifully textured blooms. Of every piece in our small but pretty great collection of art by Arkansas artists, I know this will always be my favorite. My recent visit to SanFrancisco introduced me to an interesting venue designed by Japanese designer Seiji Horibuchi. 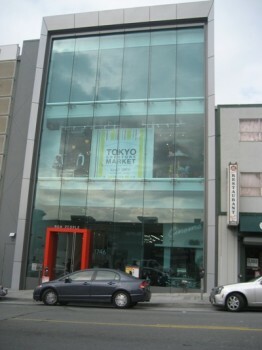 New People is not just a store, it’s a mini mall in the heart of Japan Town that is filled with the finest in Japanese conceptual art. The four floors of wondrous finds took seven years to actualize. The most interesting thing about the place is that it is not just a shopping experience, there is a cafe, art gallery, movie theater and a store all in one space. 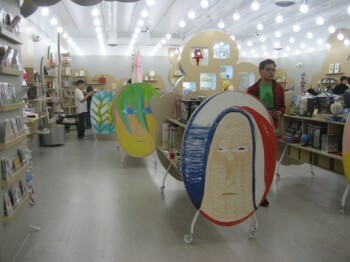 The space is a reflection of modern Japanese culture. The Mission district in the city of San Francisco, California is chock full of street art. So much so that I could not resist taking these photos if not for the pattern then for the colors, wow, such wonderful combinations abound. 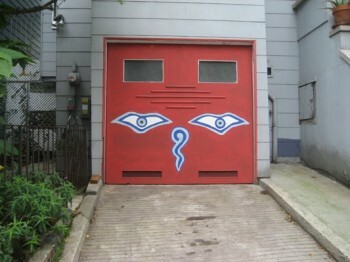 This “Eyes of Buddah” garage door is just a hoot. I am seriously in love with this idea. Most of the art is painted boldly on the front of the buildings and some of it is done in narrow alleyways. Anyway you slice it, this stuff is simply amazing. My friend suggested I go visit KSUT in Carmei Yosef, 35km (22mi) south-east of Tel-Aviv – a beautiful spot in the Judean foothills. She thought I’d love the textile studio. And she was right. 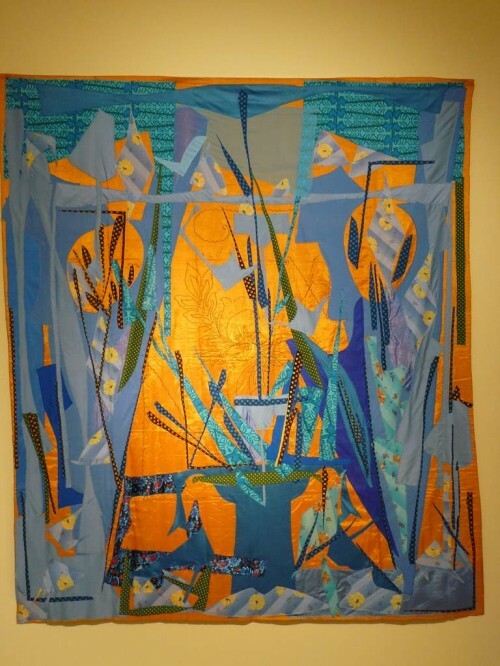 A new exhibition of large tapestries entitled “Sipurei Badim” (a play on the Hebrew words: fabrics tell stories meaning Fairy Tales) by the extraordinary multidisciplinary Israeli artist (and dancer): Noa Eshkol opened at the Tefen Industrial Park. Tchochkes road show: Who is David Pelbam? Two weeks ago I happened upon the painting shown above at my local thrift shop. When I first saw it I chuckled because the town where I live is not overly Jewish and as a matter of fact there are two prominent churches quit near each other in the town center. I put it aside and did not think twice, but when I paid a visit to the thrift shop yesterday the painting had been shoved into A dark corner and had been reduced from $20.00 to $10.00 and so I purchased it. I originally bought it for the frame but after a bit of research I found that I had an authentic work of art done by a local Rhode Island painter by the name of David Pelbam sometime between 1950-1960. There is not much information available about this artist but apparently he was born in 1932 and was best known for painting portraits of dock workers, ship captains and rabbis, go figure. 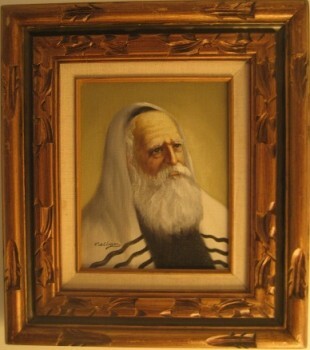 If anyone knows anything about the artist or the rabbi featured above I would love to know more. For the time being he is hanging in my living room.